Measure over the fingerboard. The string projection is an essential indicator how precisely the instrument is set-up, especially the values by the upper saddle and lower fingerboard edge. 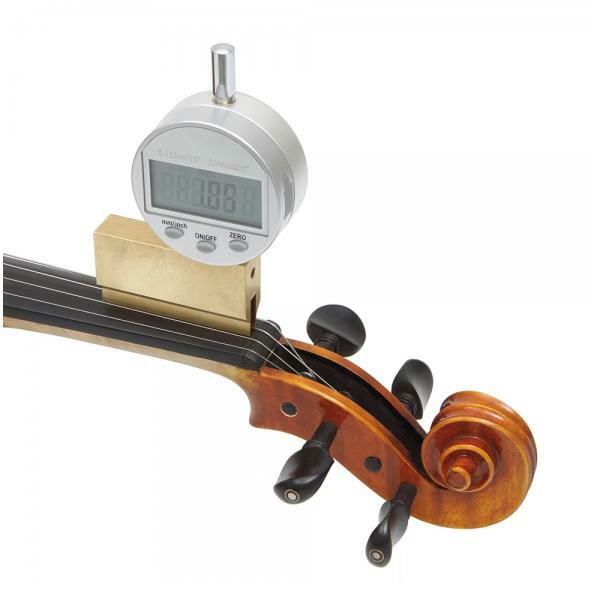 The gauge is designed to measure the projection of the string (gap between the bottom of the string and the fingerboard surface or fret top). 1. 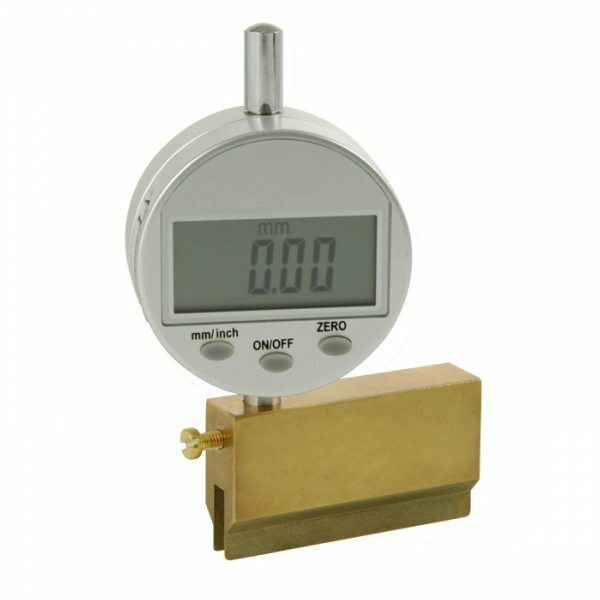 Placing the gauge over the string in desired position, letting the gauge finger to tap the string and reset the digital indicator to zero. 2. Pressing the string towards the fingerboard or fret with the gauge finger and read the value.